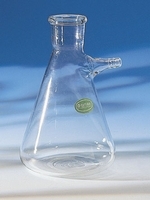 Heavy duty borosilicate glass flasks, with glass hose connection. 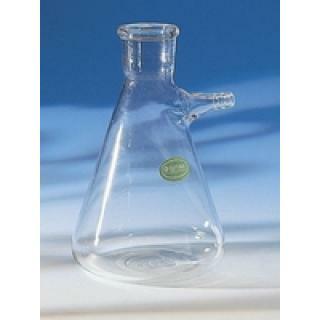 Up to 2000ml in Erlenmeyer shape. From 3000ml in bottle shape.